Nothing screams summer like ICE POPS! I used to LOVE those Fla Vor-Ices, the long skinny ice pops that came in bright colors like blue, purple, green, yum! Well, I’m sure those weren’t the healthiest option, but no worries, I may have found a substitution! The Power of Fruit makes similar ice pops to Fla Vor Ice’s, that have no corn syrup, no HFCS, no added sugar, and no preservatives. 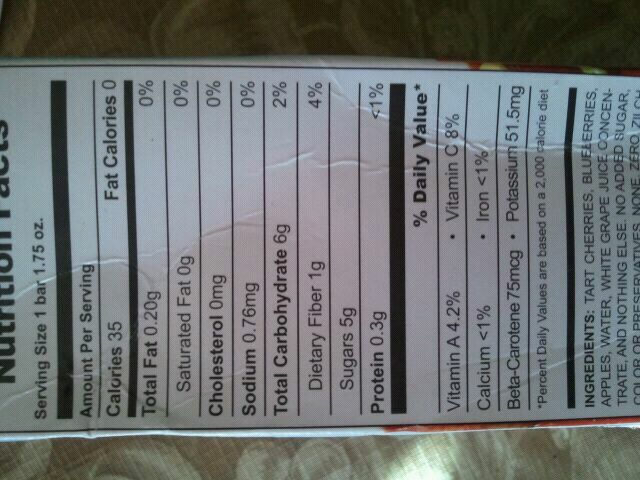 Each bar contributes to 1/2 of a fruit serving as well. They come in 3 flavors, Banana Berry, Tropical, and All Fruit, and are a little bit smaller than Fla Vor Ice’s length wise, but are thicker and rounder width-wise. Ron, at the Power of Fruit, sent me some pops to try. Thanks, Ron! 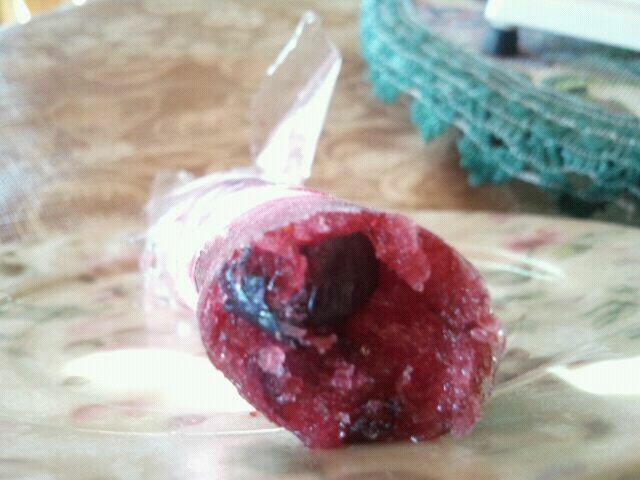 All Fruit- The ice pop is very “piecey”. There are definite visible chunks of fruit, like strawberry, raspberry and blueberry. Blueberry was the predominant flavor I had tasted, and overall, it wasn’t that sweet. It literally tasted like when you freeze fruit and eat it frozen. It had that slushy consistency that isn’t super sweet, but still good. Banana Berry- this one was better, not as “piecey”, and more solid. It had a good blend of sweet and tangy with the banana and strawberry flavors mixing. You could actually smell the banana which was kind of nice when you opened the ice pop. Cool! This one also, not super sweet, but mellow fruity flavors. Tastes like nature intended. Overall, 3 1/2 stars. While I love the idea of an all-fruit, no sugar added pop, I hate to say the taste isn’t as yummy as a Fla Vor Ice. However, they are still pretty good, provide fiber, and super low calorie. I think these would be a good swap if you have no frozen fruit, but want to make a smoothie. Just plop one right in your blender with some yogurt and juice, and your good to go! These are also great for kids- hey, if you start them off without all the sugar, they won’t develop a nasty sweet tooth! 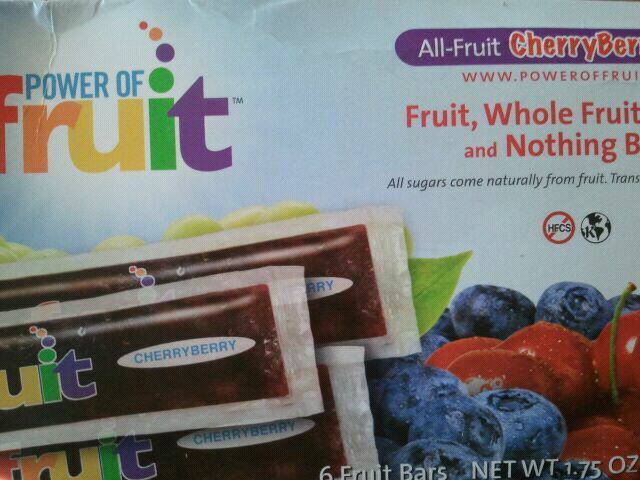 All Fruit– 1 bar is 28 calories, .12 grams of fat, 7 carbohydrates, 1 gram of fiber, and .3 grams of protein. Strawberries, Cranberries, Blueberries, Mango Chunks, Pineapple, Bananas, White Grape Juice Concentrate, Water. 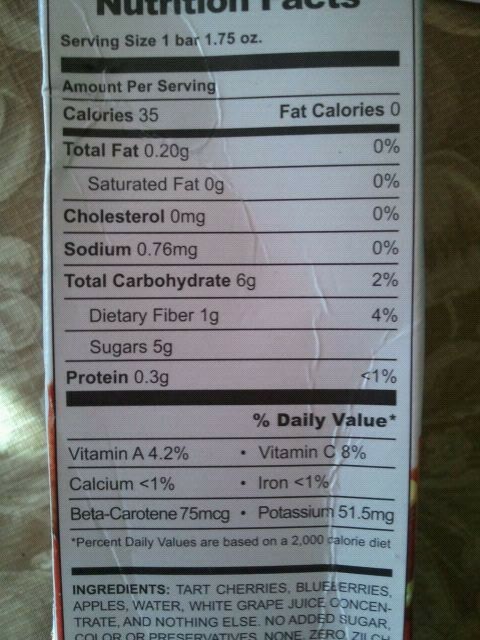 Banana Berry-1 bar is 27 calories, .12 grams of fat, 6.5 carbohydrates, .9 grams of fiber, and .36 grams of protein. Strawberries, Bananas, Strawberry Jucie Concentrate.